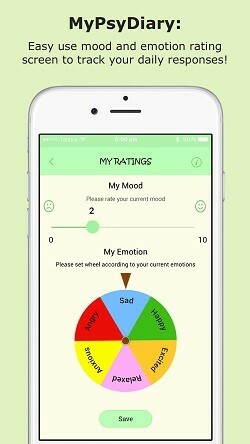 ​The MyPsyDiary is a secure psychological-based application designed by a clinical psychologist to assist people with monitoring and improving their mental health. 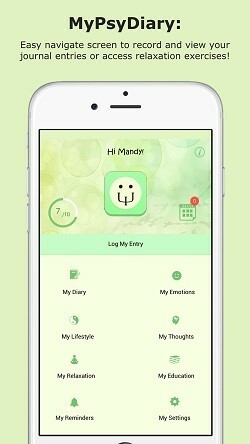 MyPsyDiary records your mood, emotions, and other lifestyle choices to help you understand how to feel good and how to manage when you don't. 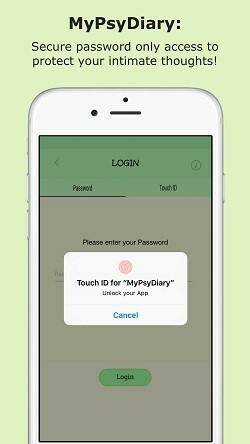 MyPsyDiary has a secure access via password, touch ID, and pattern, with the option to delete your data or suspend access if login is unsuccessful. 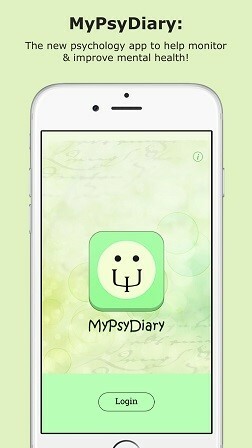 MyPsyDiary has an easy to navigate menu with access to all your psychological strategies on demand. The i button on each screen helps guide you through.